Meets in the Owen Room, Parish Centre, every Friday (except on Women’s World Day of Prayer and public and religious holidays) between 09.30 and approximately 11.00, including prayer and refreshment time. Weekly attendance numbers vary between 5 and 12 and every woman, of any age, background and stage of faith, is welcome. We meet to study Bible passages; sometimes we focus on a particular book and sometimes we focus on a character, theme or teaching. We take time out for prayer and, also, to foster our friendships. Each meeting is led by any one of the members on a voluntary basis, which brings many different interpretations from which to learn. Queries and questions often arise and everyone is encouraged to participate in discussions that explore what teachings mean for our lives today. All views and thoughts are discussed and explored with gentleness and respect. 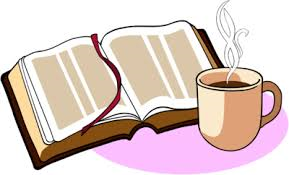 We close with prayer, followed by tea/coffee and biscuits. .
Every woman is welcome at our Bible Study – you don’t have to be a church member and there is no charge. Just turn up. If you’re not sure but would like to find out more, please click here for contact information to chat through your situation.